Pretty sure this is the same outfit as yesterday’s, only for weather that’s 10 degrees colder. 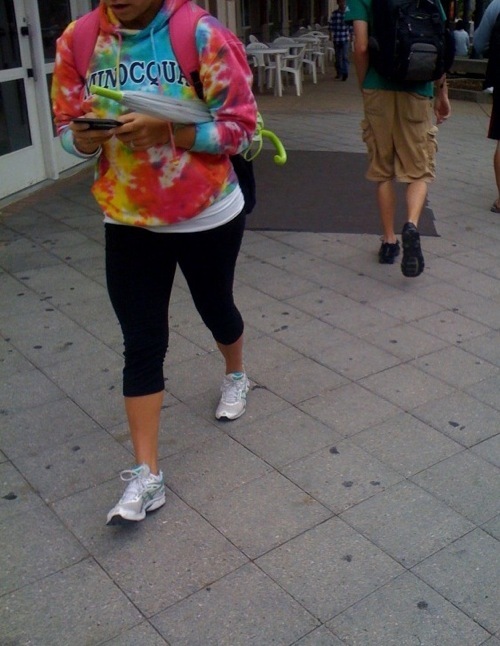 Or else just a sign that colorful tie-dye matches nopants REALLY WELL in the eyes of UIUC students. Because it’s really hard to find colors/patterns that match nonexistent pants.